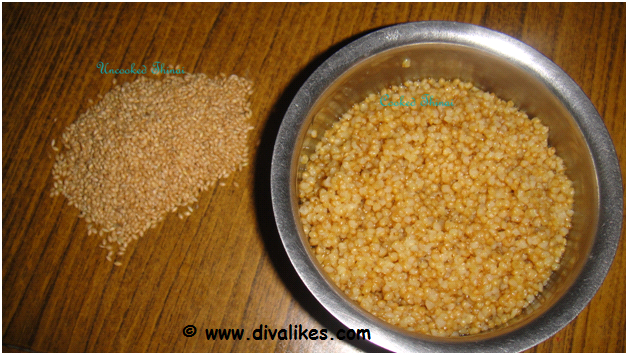 Foxtail Millet is one of the grains which is used in ancient days. This small grain is rich in fiber content and is good for weight management. We must include the recipes using this grain atleast once in a month in your diet. There are many recipes with this wonderful grain and here I am sharing one among them. Soak the foxtail millet in water for 30 minutes. Wash with fresh water. Pressure cook with two cup of water for 2-3 whistles or till it is easily mashable between fingers. 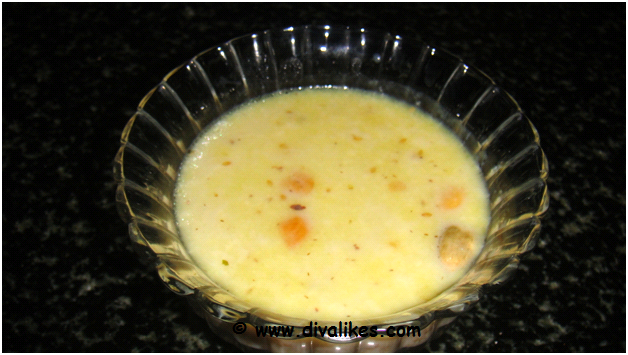 Heat a tablespoon of ghee, roast the cashews and raisins and keep aside. 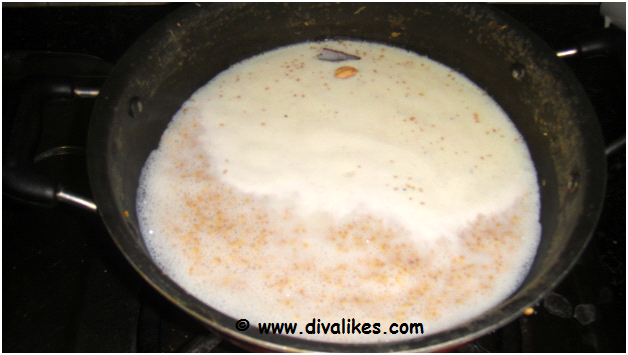 In the same pan, add the cooked foxtail millet and add the milk. To this add the cinnamon stick and whole cardamom and mix well. When it boils add the sugar and mix well. 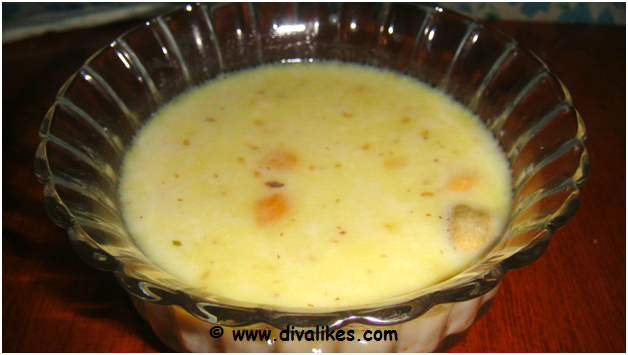 If you feel the porridge is very thick, you can add a cup of water. Let it cook for ten minutes. Switch off the flame. Add the grated coconut, roasted cashews and raisins. 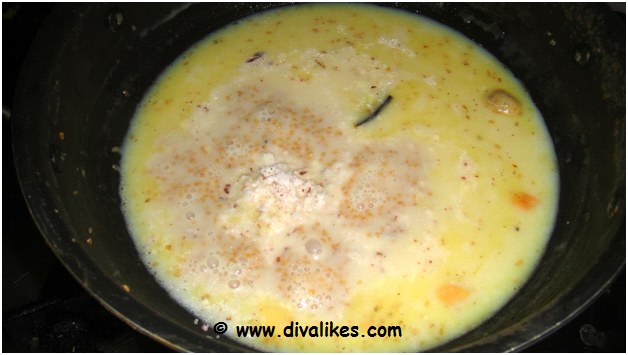 Add the remaining ghee and mix well. Discard the cinnamon stick before serving. 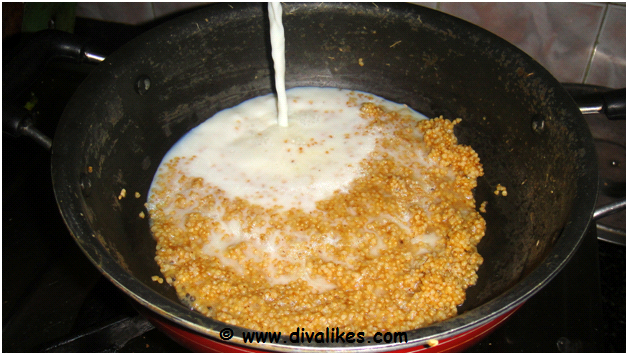 Delicious and flavorful Foxtail Millet Porridge is ready to serve.